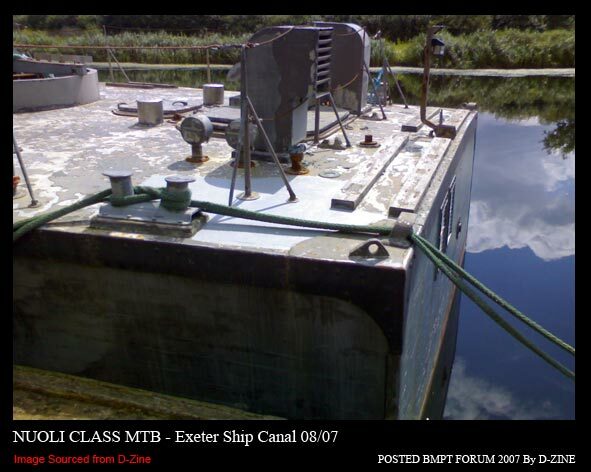 i'm a newbie to this forum and would like to say hello, i'm facinated by mtbs with there sleek looks and speed, and this comes about by me seeing one moored up in exeter canal in devon, i believe it to be the one that has been discussed on this forum by d-zine 10th july 2006, bought in helsinki by a couple of guys from england. i believe it was given some attention for quite some time over there to make it seaworthy and was then blasted back to england under its own steam, being interested and wanting a closer look i walked down the canal bank where its moored on private property, i spoke to a works manager of the property and he showed me the boat and allowed me to look around the deck, it needs alot of tlc, but its all there except for the guns, i believe it will remain as its supposed to be, "original" it is having some more work done to the engines which i would reckon on being original as i was told it certainly drinks the diesel, i hope this helps. 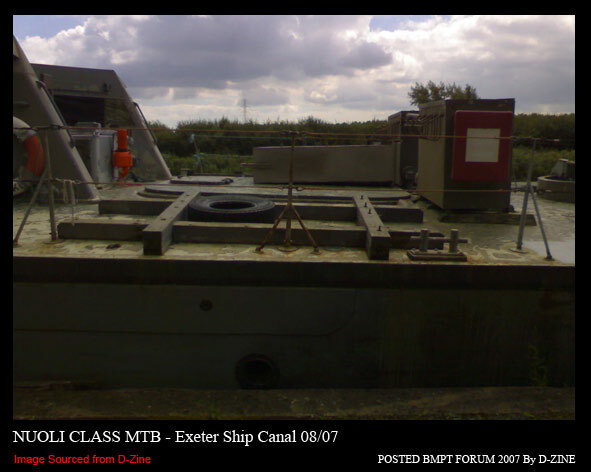 Thank you for the update on the 'Nuoli' class boat - now in the UK. 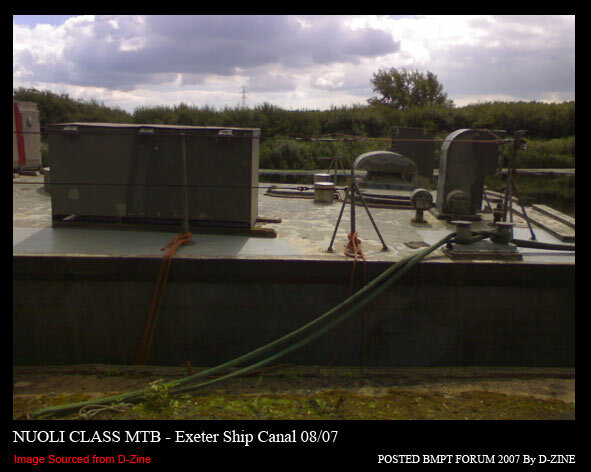 It is always of great interest to hear news of other vessels - be they British or foreign - if you can manage an 'up-date', now and again, on any progress with any restoration of this vessel, it would be greatly received. Thanks again. I was down on the ship canal last week and took the following photographs. 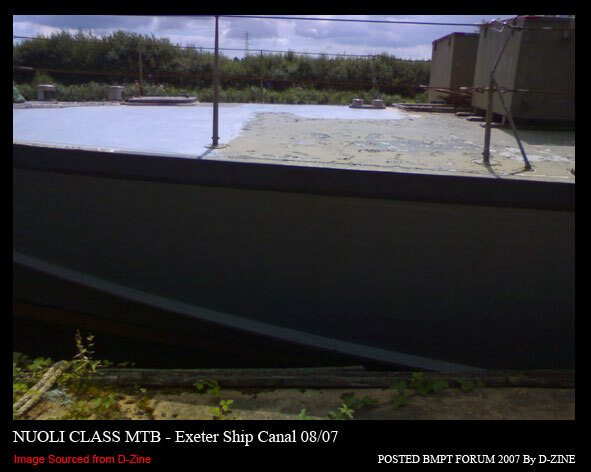 Was this the boat advertised ashore last year for approx £20,000 on Apolloduck? The Nuoli class motor gunboats (English: Arrow) was a series of thirteen fast attack craft (gun) of the Finnish Navy. The ships were constructed in 1961, and modernized in 1979. 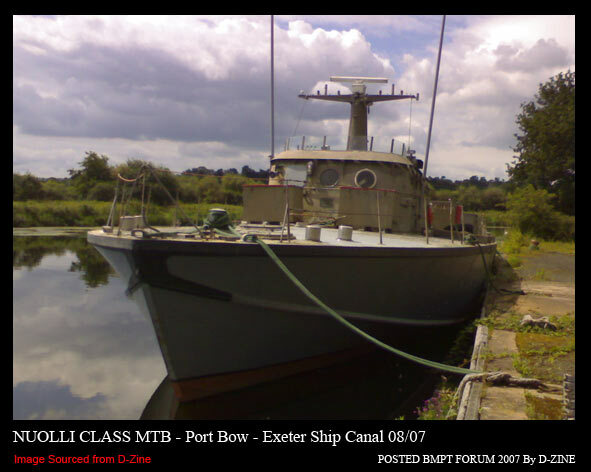 The ships were stricken from the navy lists in 1984, and sold on the private market. There are two distinctive versions, 1-10 and 11-13. 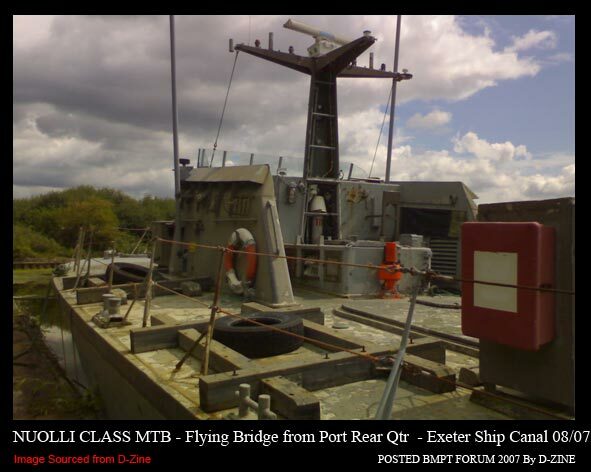 The former could be distinguished by having a higher superstructure. All were equipped with three Soviet V-12 engines (the same ones as used in the T-55 tank). There was no separate cruise engine, except from a small auxiliary engine that produced electricity. 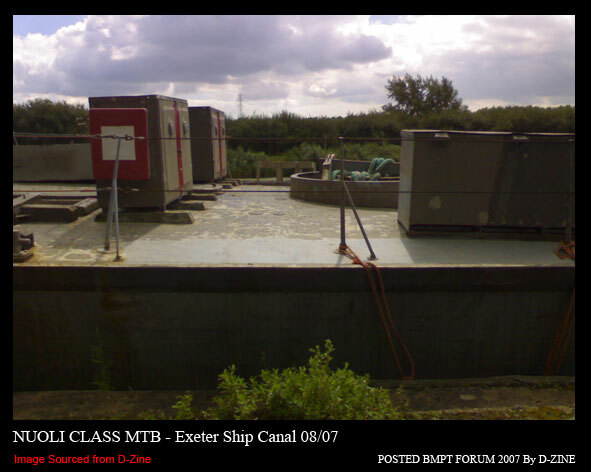 The vessels were first equipped with large screws, but later changed to smaller, albeit equally effective screws, manufactured by Finnscrew. Finland were forbidden to have torpedo boats after WWII, but the Nuoli class could quickly be converted into such, if need arose. The vessels are today spread all over Finland. Nuoli 8 is preserved at the Turku marine museum Forum Marinum. 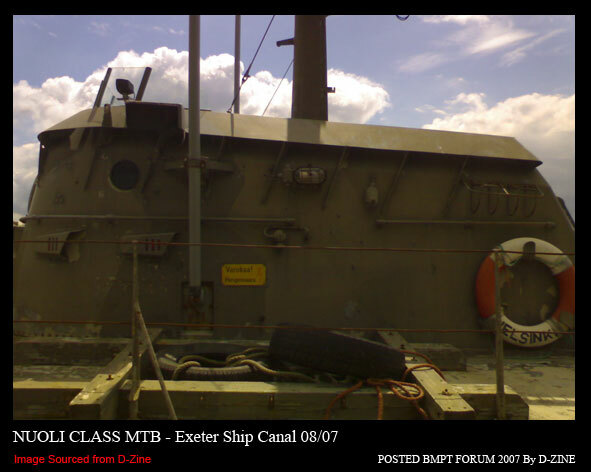 Was used as a taxi boat in Vaasa after its navy career. 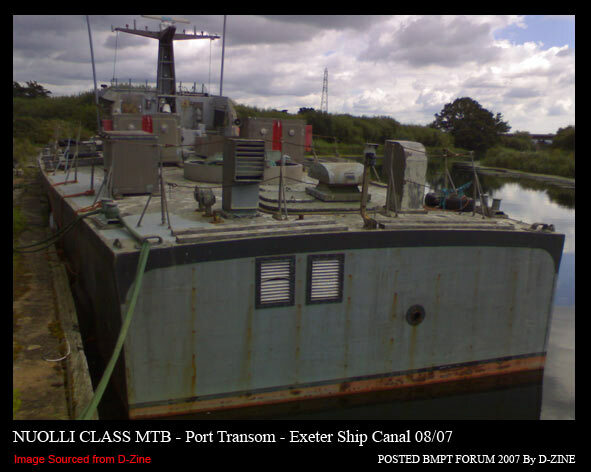 Just to clarify she's currently moored at the water treatment works quay where the sludge barge used to berth. This is located not far from the Motorway bridge, a very nice location. 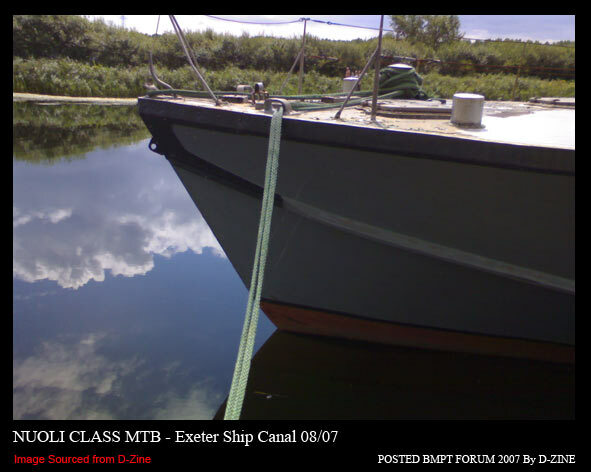 I wonder what the rent is for this mooring? I am having trouble posting this item, it can be viewed correctly on wikipedia. 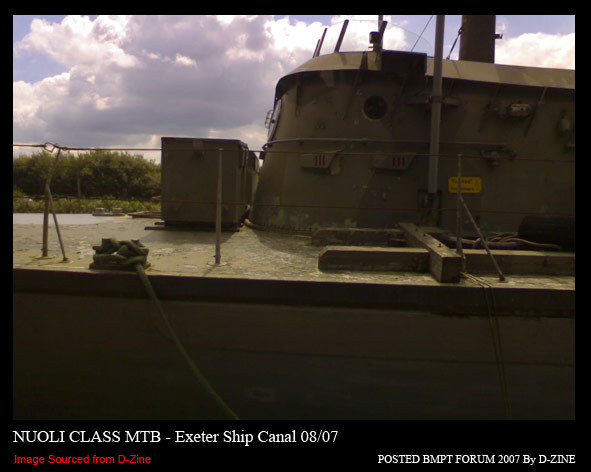 Here are rest of the Photographs taken on the same day, starting at the bow and working aft in more detail.